A new PC can provide you with unique and expanded capabilities. And when it is powered by a visibly smart 3rd generation Intel Core processor, it can deliver amazing performance. Smart features give your PC the ability to adapt to your needs, as well as stunning visuals built-in for an enhanced experience that you can both see and feel. You can enjoy a wide selection of entertainment, create and share your great memories, and explore and connect to what interests you most. Rediscover what's possible with a new computer. The only thing more amazing than our technology is what you'll do with it. 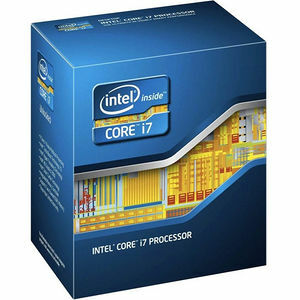 The 3rd gen Intel Core processor family features Intel Turbo Boost Technology 2.0, delivering a burst of processor speed automati- cally when the workload demands additional performance and greater adaptability, and Intel Hyper-Threading Technology , allowing each processor core to work on two tasks at the same time, improving multitasking and speeding up the workflow. So whether you use your PC to be creative, play games, or for everyday tasks such as homework, these new processors offer the performance and features you want to get more done in less time.